Next stop for President Barack Obama: NBA owner? WASHINGTON -- With just six months left in his term, one of the options President Barack Obama is thinking about for his post-White House life is becoming part-owner of an NBA team. Obama is known to be a big fan of his hometown Chicago Bulls and plays pickup games at the White House, where he had a tennis court adapted to also accommodate basketball. If the opportunity came up, he would consider part ownership of a team, White House spokesman Josh Earnest said. President Obama shoots three-pointers after a speech at Georgia Tech in Atlanta on March 10, 2015. "The president has discussed previously that he would have an interest, potentially, if the opportunity arose under the right circumstances, to be part of an ownership group of an NBA franchise," Earnest said Wednesday. 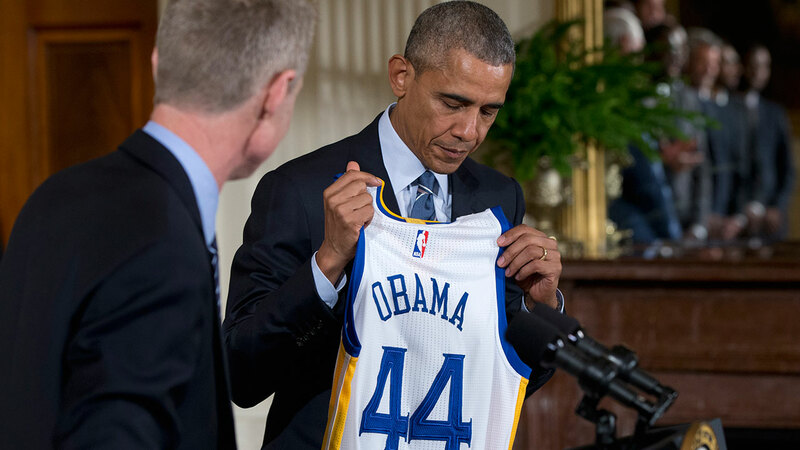 "So the president is obviously a big NBA fan. So I don't know if that kind of opportunity will present itself, but I suspect that's something that he would enjoy." Earnest's comments came after he was asked at a White House press briefing whether the president had any interest in becoming commissioner of Major League Baseball. He said he wasn't aware of any offer being considered. Obama, 54, leaves the White House in January.